Tanya is the first Millennial generation blogger & speaker in the UK, helping people in their 20s and 30s to design a career that works for them. If you’re stuck in your current role and have been thinking of starting a profitable blog or an online business, Tanya’s 1-on-1 coaching will help you with focus, direction & processes to get you started. Email me at tanya@luckyattitude.co.uk to see how I can help. Running a conference or a workshop and need Millennial experts or just young opinionated people to participate? Drop me a line to tanya@luckyattitude.co.uk, I’d love to take part. Or need to educate and inspire your management or executive teams about the digital and social media evolution and how it is changing the business, publishing and marketing landscape? I can help you set up the tools, coach your staff and guide you through the complexities of the new media and the social web. I’m specialised in Millennial consumers, youth marketing and Millennial workplace training. Email me tanya@luckyattitude.co.uk and let’s see if I can help. Do you have a cool product or a service Millennials will love and share? Do you want to reach a bigger audience? 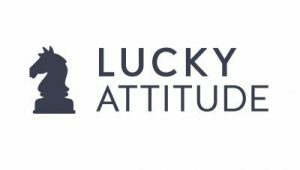 Send me an email to tanya@luckyattitude.co.uk and let’s see what we can do. There are several advertising options available, like banners and advertorials. You will benefit by reaching your core demographic of 18 to 36 year olds by having an association with a trustworthy site.